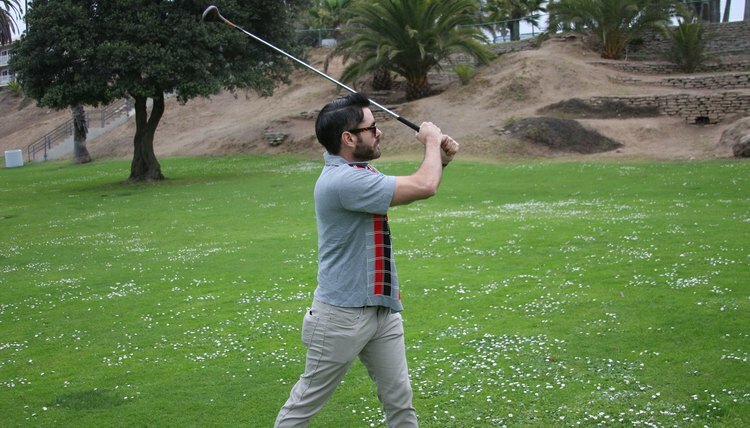 Golfers tend to pay a lot of attention to making sure they have a strong back, but don't forget that the wrist and forearms are essential elements to a great game of golf as well. Not only do you want to have strength in your wrists and forearms to help with driving, but you also want to make sure these body parts are supple and flexible. The wrist stretch is an exercise you can do anywhere, and it is helpful for stretching the muscles and keeping them flexible. Hold your arm straight out in front while you place your palm downward and facing away from you. Use your opposite hand to pull your fingers back toward you. When you can feel the tension in your outstretched arm, hold for a count of five. Then do the same thing with the opposite arm and hands. 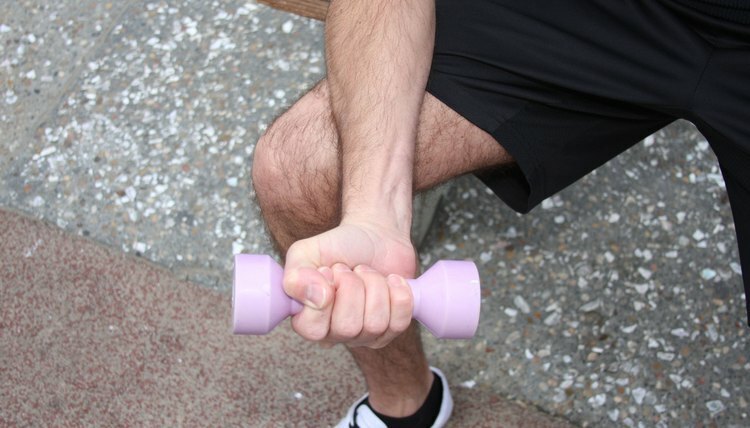 Wrist curls are good for making your grip stronger. This will give you more control over your shots. You can do wrist curls with either a dumbbell or a barbell. Take a seated position, with your forearms resting your thighs. Extend your hands over your knees and grasp the dumbbell or barbell with your palms up. Lower the weight as far as you can, and then using your wrist curl it up toward you. Repeat using a grip in which your palms are facing away from you so that you are raising the backs of your hand toward you. Here is an exercise you can do while on the course or just about anywhere else. 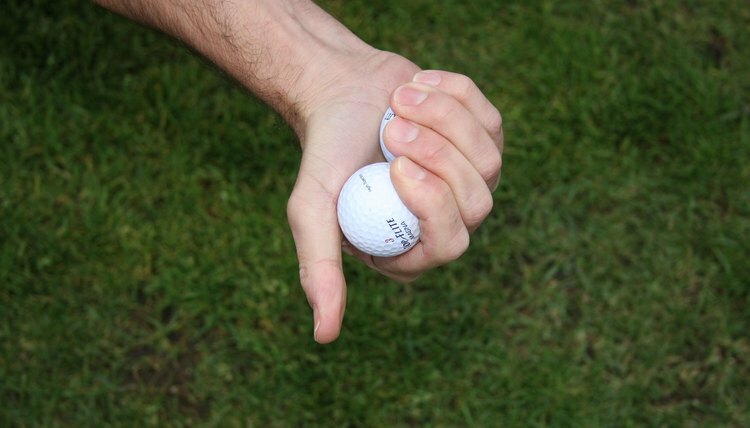 Take two golf balls and just squeeze them in your palm. This exercise is similar to squeezing a rubber ball. Extend your thumb the way you would while gripping your golf club to get a better feel for the muscles you need to strengthen for golf. This exercise can be performed with the equipment found in most gyms. If you don't have parallel bars, locate any surfaces where you can comfortably position your hands at your side and lift yourself. Place your hands on the parallel bars and lift yourself up and down, bending at the elbows, while keeping your feet off the ground. This is a great exercise because it not only gives your forearms a workout, but also other important golf-related muscles like the latissimus dorsi, triceps and deltoids.